When we think of functional medicine testing, we often think of expensive tests not covered by insurance. But there’s actually a lot we can learn from the regular bloodwork commonly ordered through our conventional doctor’s office. 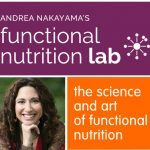 Andrea Nakayama is a world-renowned Functional Nutritionist, educator and speaker, whose mission is to change the way we do healthcare by empowering patients to reclaim ownership over their own health. 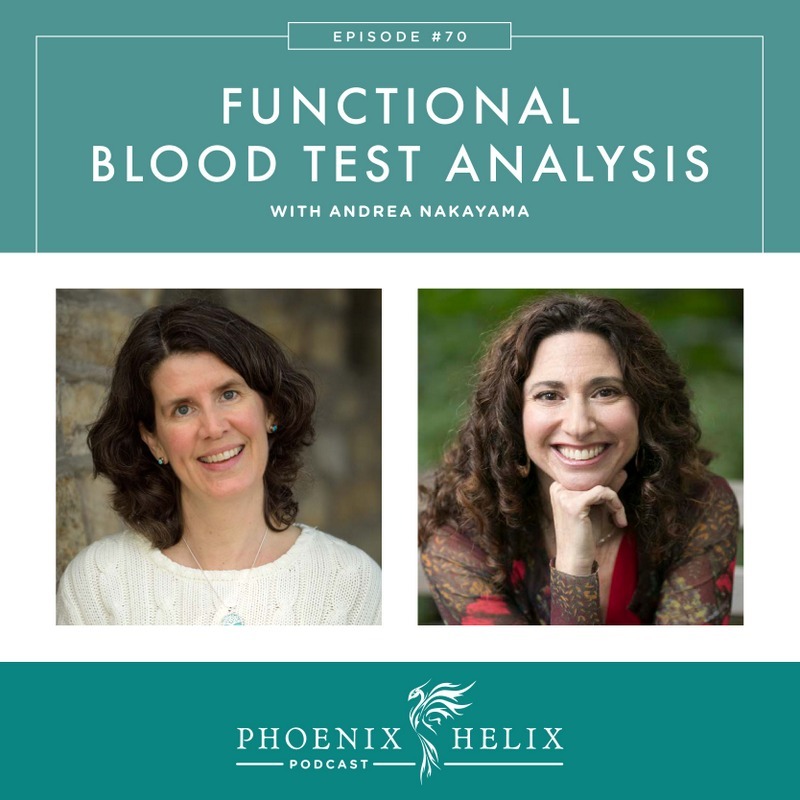 In today's podcast episode, she walks us through two blood tests that are very common: a CBC with Differential and a Complete Metabolic Panel, and tells us how she interprets these from a functional perspective. Andrea Nakayama works directly with clients through her company Functional Nutrition Alliace (formerly Replenish PDX), and she also trains 1,000 practitioners every year through her program, The Holistic Nutrition Lab. She’s regularly consulted by world-renowned doctors as the nutrition expert for some of their toughest cases. She’s also been honored with both the Impact and Service Awards from the National Association of Nutrition Professionals. 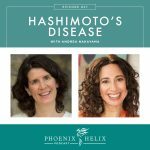 To hear her personal story of being diagnosed with Hashimoto's disease, listen to Episode 27. Today she shares an update to her healing story. She was diagnosed back in 2011, and while she's been in remission a long time now, she prefers to call it “management”, because it's directly due to her self-care efforts that she's able to keep her symptoms minimal. Functional medicine looks at Antecedants (genetics), Triggers (things that potentially contributed to the development of autoimmune disease), and Mediators (the things we can control on a daily basis in the management of our disease like diet, sleep, stress management, etc.) 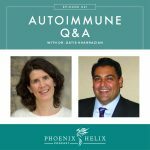 As long as Andrea stays tuned in with her body and makes healthy choices (her Mediators), she manages her autoimmune health well. Don't underestimate the power of tuning into your body. There's so much we can learn and improve before ever turning to a lab test. Tier 1: Non-Negotiables. This is unique to each individual, and we learn this by self-experimentation and tracking our symptoms. What makes us feel better and what makes us feel worse? 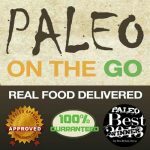 Resources: Autoimmune Healing n=1 Workbook, Journal Your Way to Better Health and Food Mood Poop Ebook. Tier 2: Deficiency to Sufficiency: For example, HCL, digestive enzymes, folate, iron, vitamin D, overall nutrient-density and absorption, etc. This can often be discovered through the routine bloodwork we'll be discussing today. But this tier also looks at deficiencies in other areas: do we have enough support, joy and balance in our lives? Tier 3: Dysmantling Dysfunction: This is where functional medicine testing comes into play: SIBO, gut infections, hormone imbalances, etc. Resource: Download a free primer on the 3 Tiers Approach from Holistic Nutrition Lab. *These are all blood tests, and many are common ones ordered by doctors and covered by insurance. You can request the other tests, and if your doctor refuses, you can still gain a lot of information from the most basic bloodwork. If you want the full wish list, you can order those extra tests independently through Direct Labs. Looks at the whole person and how systems interact. Seeks to find root causes of illness. Works in partnership with the patient. On a lab report, you'll see an H or an L if the lab has identified something as pathologically out of range. These lab ranges actually vary based on the location of the lab and what is “average” for that area. So, you could get a “high” result from one lab and a “normal” result from another. These are the results that will get your doctor's attention. In functional analysis, practitioners look at how the results reflect optimal health or hint at imbalances. It's as much an art as a science. Andrea cannot teach us all that she's learned in years of practice, but she can give us an overview. The functional lab ranges she is sharing don't mean a diagnosis. Instead, they're information that can help guide your healing journey. Lab tests are just a snapshot in time, and they're nothing to fear; trends that continue to show up on these tests over time are more powerful indicators than one elevated result. A skilled practitioner looks at these results in combination with your health history to prioritize treatment. Andrea uses these results to choose specific functional medicine tests unique to each patient, rather than ordering a battery of tests for all patients. The Complete Blood Count (CBC) looks at your white blood cells (immune cells) and red blood cells (information carriers). The Differential breaks this down into different types. White blood cells (WBC): a healthy functional range is between 5 and 8. Higher then that indicates a possible infection. Lower than that indicates a depressed or suppressed immune system. We have 5 different kinds of white blood cells. They perform unique functions and are meant to exist in our body in certain percentages. Neutrophils are the highest percentage and their functional range is between 40-60%. Higher than that can indicate acute infection or acute inflammation. Lymphocytes' functional range is 25-40%. Higher than that can indicate either acute or chronic issues, such as viruses, autoimmunity or detoxification challenges. Monocytes' functional range is between 0-7%. Higher than that can indicate liver dysfunction, prostate problems, or the process of recovering from an infection. If they stay elevated for an extended period of time, that's a possible indication of Epstein Barr virus. Eosinophils' functional range is between 0-3%. Higher than that can indicate food sensitivities, environmental allergies, or parasites. Basophils' functional range is 0-1%. Higher than that can indicate histamine intolerance. Unusual red blood cell results can sometimes indicate dehydration, and drinking more water might normalize those results. Fasting glucose functional range is between 76-88. Higher than that can indicate blood sugar issues. BUN speaks to protein metabolism. AST and ALT (or SGOT/SGPT) are your liver enzymes. Their functional range is between 15-26. Lower than that can indicate magnesium or B6 deficiency. Higher than that can indicate liver inflammation or detoxification challenges. If you're interested in learning more about the functional nutrition counseling that Andrea and her team offer, you can learn more through her website: Functional Nutrition Alliance. She also has a free gift for anyone interested. It's her Food Mood Poop ebook, which teaches you all about personal tracking and self-assessment. Andrea also loves to teach. On the patient side, she offers seasonal online classes as well as year-round pre-recorded classes, such as Hashis Companion. And if you're a practitioner who would like to expand your knowledge or someone who wants to learn more about functional nutrition as a career, check out Holistic Nutrition Lab. Another free gift is a primer for the 3 Tiers paradigm she shared on today's podcast. You can subscribe to my podcast through iTunes. You can listen through Stitcher. You can also listen to the episode right here through the play bar at the bottom of this post. If you subscribe to my blog by email, you'll got notified of future episodes.